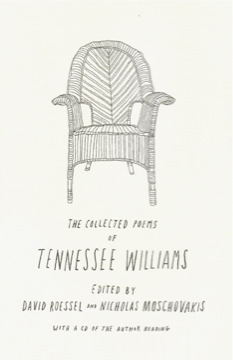 I did not think it possible to love or respect Tennessee Williams more than I already did, but his collected poems have proved me wrong. The dramatist would not have existed without the poet; they are both separate and indivisible. His ability to channel pain into beauty and his unflinching (and, for its time, remarkably courageous) honesty are revealed in a new light.